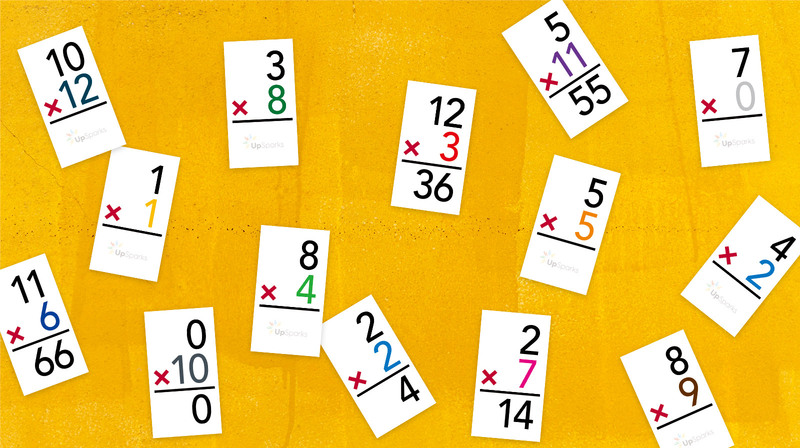 These multiplication flash cards printable sheets are a free version of our best-selling Multiplication Flash Cards. UpSparks flash cards contain every table 0-12. This is a total of 169 unique all-fact cards. Unlike other sets, where cards might be grouped or skipped, we have ensured every number combination is given a unique and dedicated card. This lets learners sort and stack cards as they learn, and separate those that need more practice. It also makes the learning experience simpler, giving more options for learners to play and learn with friends and classmates. 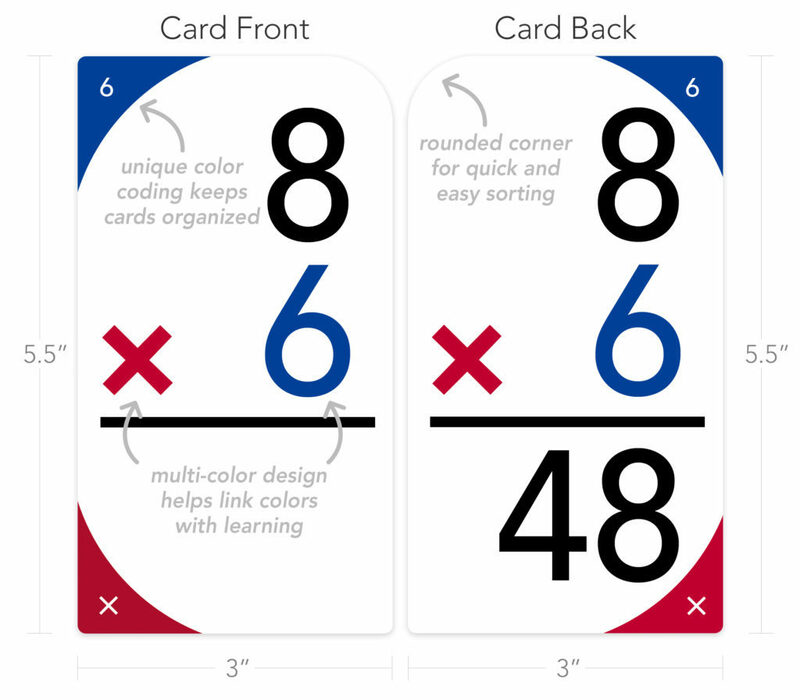 Uniquely color-coded, UpSparks printable multiplication flash cards 0-12 are bright, fun and designed to aid learning with visual cues. 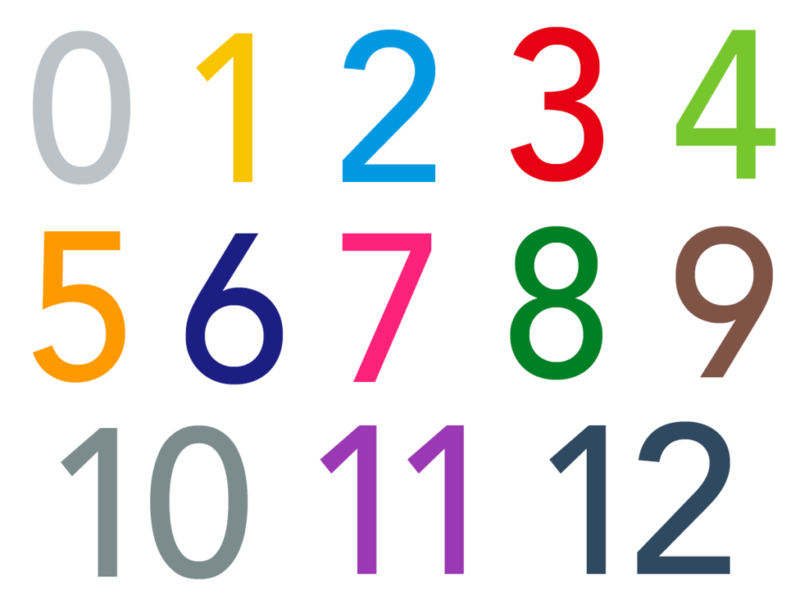 Each number set has a designated shade (1’s are yellow, 2’s are blue, etc.). This helps learners visually link colors to the tables they are learning. The unique color mapping will brighten and enhance learning, as well as making searching and packing cards a much quicker and easier task. Clean easy-read design with ready-cut guides. 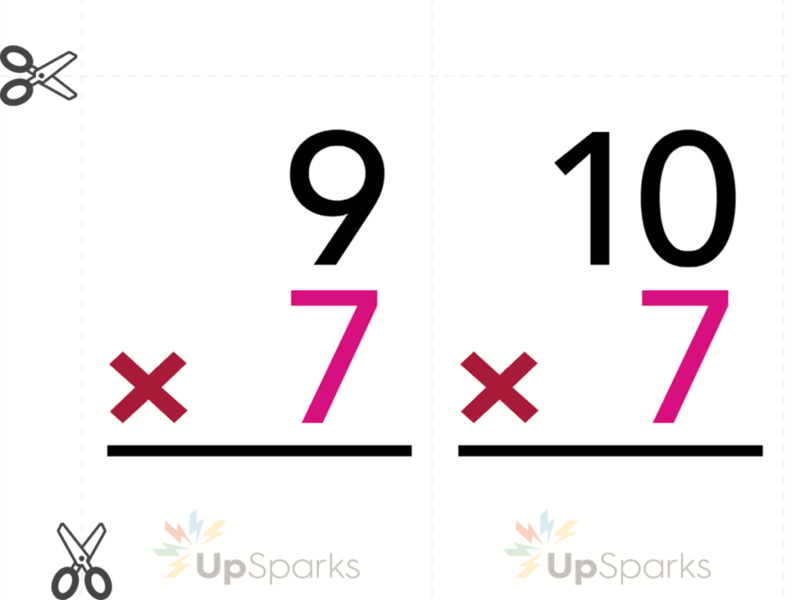 Designed by educators, these UpSparks multiplication flash cards printable sheets have been carefully crafted for all learners. Created to be distraction-free and with a clean modern typeface, learners can view numbers and symbols clearly from a distance. It doesn’t matter whether you are using scissors or a blade, each card is aligned and separated using dotted guide lines to keep edges straight and make cutting cards a cinch. Resources, games and a whole lot more! 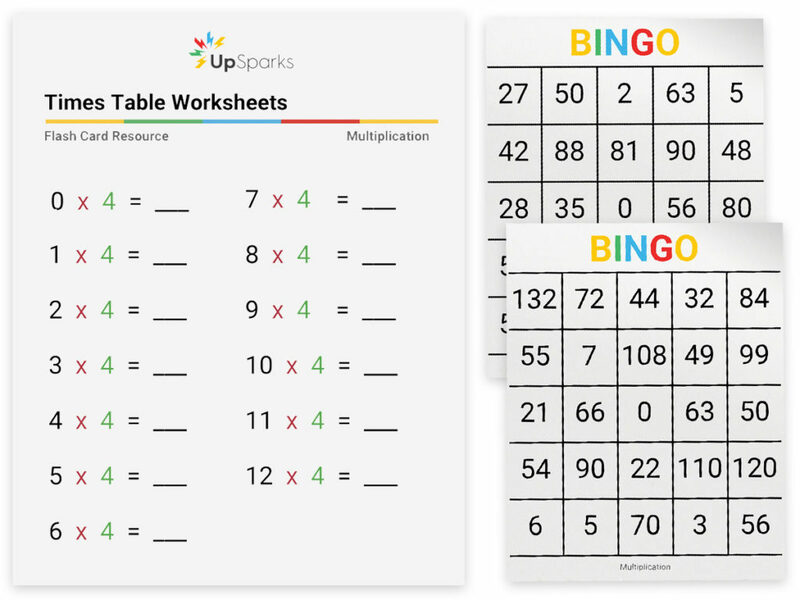 It doesn’t matter whether you have downloaded our free multiplication flash cards printable sheets or have purchased a box of UpSparks Multiplication Flash Cards, you still have access to the same growing library of free resources. Everything from question worksheets to apps and fun multiplayer games learners can play with friends, there is something to spark an interest with every learner. Looking for something more durable than printed paper? Sized to fit perfectly in hands both young and old. Built to be completely non-transparent using the highest quality materials. And delivering a whole level of learning beyond multiplication flash cards printable sheets. 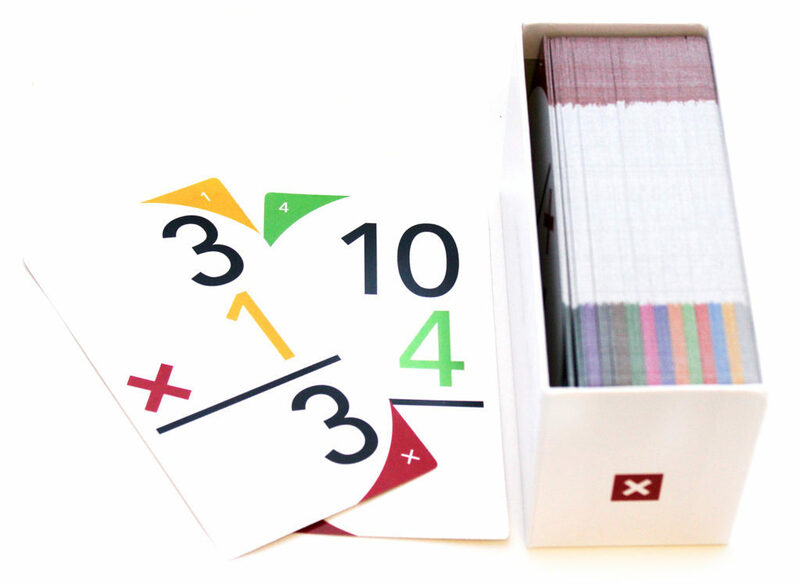 Look no further than our UpSparks Multiplication Flash Cards 0-12. Carefully crafted by education experts. We put quality and learning first. 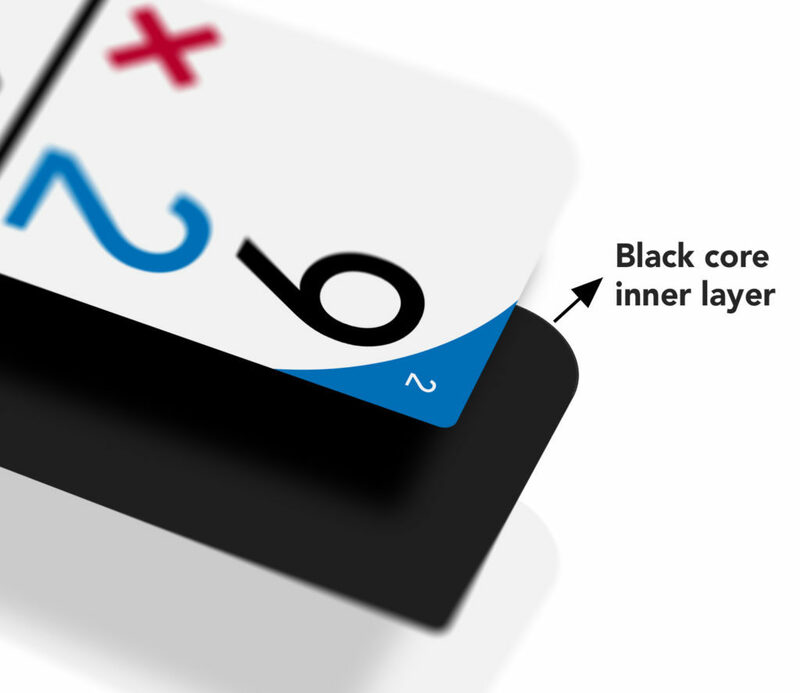 Using the same ‘black core’ technology as professional poker cards, UpSparks cards cannot been seen through in any lighting environment (indoors or outdoors). A common flaw in cheaper flash cards is the ability to see solutions through the card itself; this is not only bad for learners, it is also a huge frustration for parents, teachers and tutors. 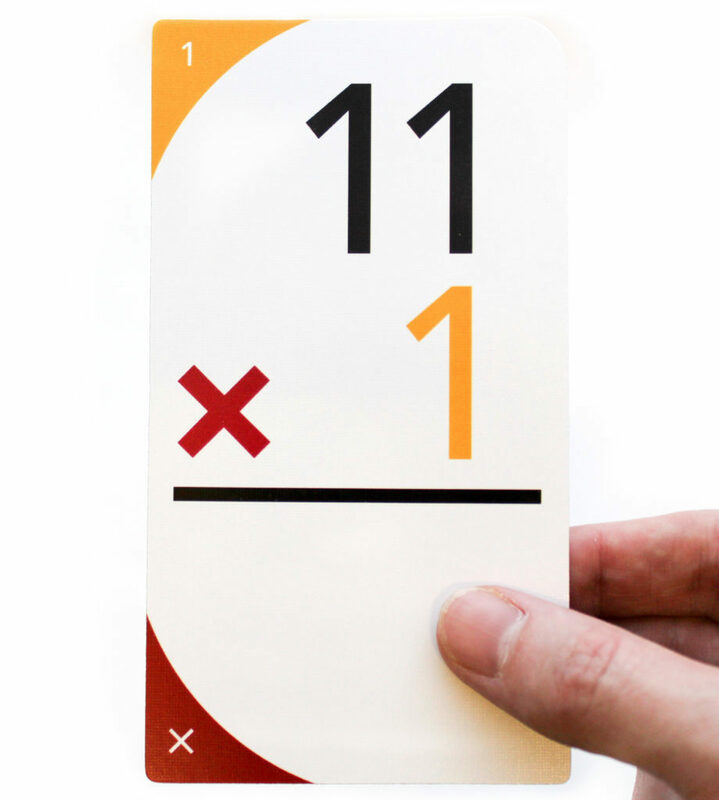 Printing your own cards with our multiplication flash cards printable sheets is a great free option but thin paper can result in see-through cards and printing to cardboard can be expensive and bulky. Our UpSparks cards retain a thin and light structure while remaining 100% non-transparent. Durable, strong and the perfect fit for every hand. Real learning is messy! And thin printed and paper-based cards don’t last long. Shuffling, flipping, passing and sharing takes its toll on cards. That’s why we have used the best quality materials to make cards that can stand up to the wear and tear of enthusiastic learning. Made to last with triple-layer card-stock, UpSparks cards are tough as nails. Designed to fit hands young and old, this material gives durability, texture and strength far beyond cheaper alternatives. The unique material makes UpSparks cards harder to bend, tear and scuff, while retaining a light feel and a solid snap when in use. We are so confident in our materials that we offer a 100% risk-free satisfaction guarantee to all buyers. Color-coded with rounded corners for easy sorting. Visual cues such as color and shape help our brains react and learn faster. This is why we have carefully designed UpSparks flash cards to be bright and colorful. Each number is color-coded so that each times tables is visually linked to a vibrant shade. Each card corner shares the same color-coding to re-enforce learning as well as make number groups easier to sort and find in the box. It’s amazing how the simple addition of color can make learning more interesting, appealing and fun! Keeping flash cards organized is essential. And as learners shuffle, stack and separate cards, things can get very messy, very quickly. We have color-coded corners for easy sorting. Space for big and little fingers to make getting cards simple. And unlike cheaper alternatives and printed card, UpSparks Multiplication Flash Cards have a permanent home. Our cards are delivered in a heavy-duty cardboard box that is made to fit perfectly. A box made to keep cards from getting lost. A box made to keep cards from getting damaged. And most importantly, a box made to keep UpSparks cards fun and inviting every time it is opened. 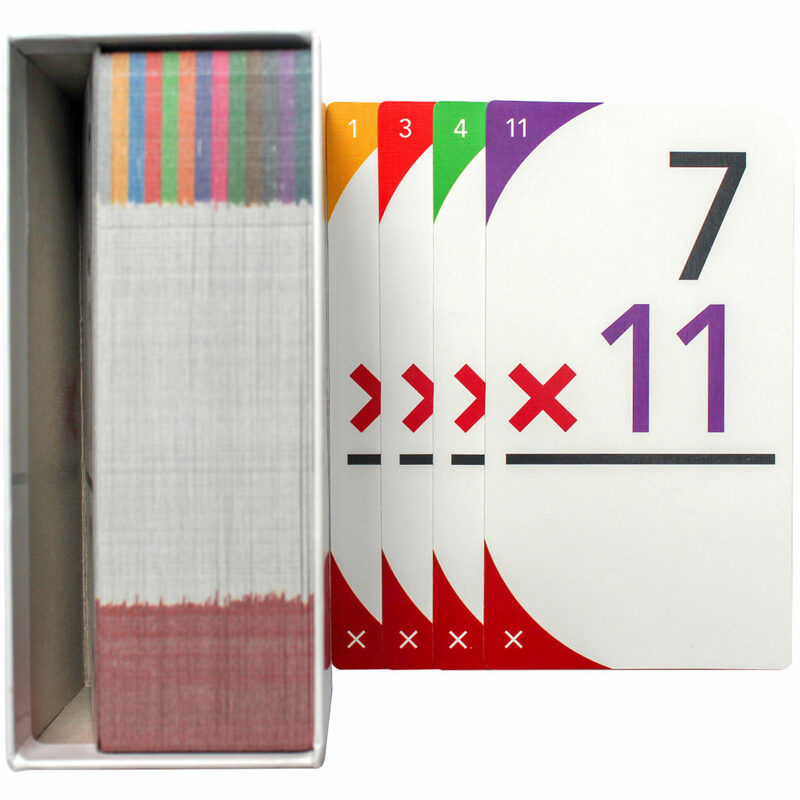 Watch as your cards fly out of the box and flip around the room! Exploding and popping in our brand new augmented reality learning game. The app is the perfect blended companion to add yet another fun pathway to learning. UpSparks AR is a unique and fun way to enhance the way learners understand and grasp multiplication. 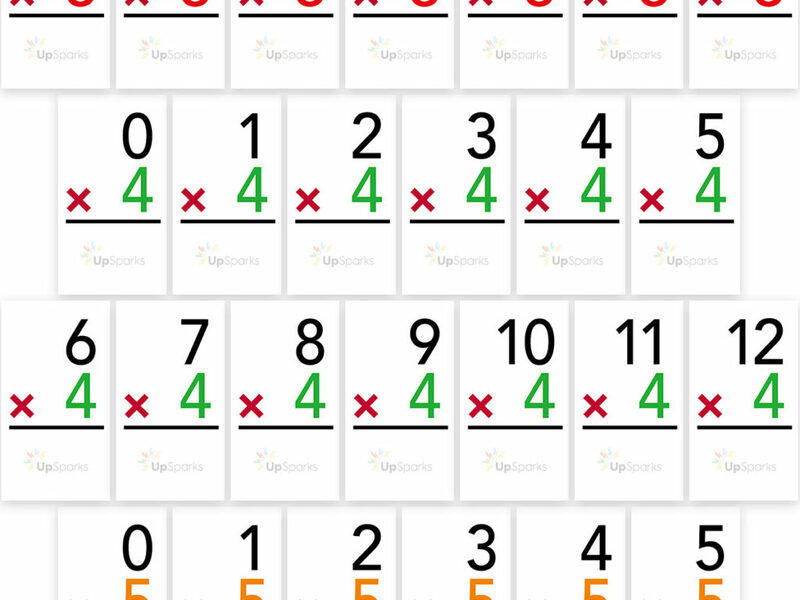 Visualize the multiplication process with times table flash cards 0 through 12 (169 virtual cards) and see just how much fun math and multiplication can be. 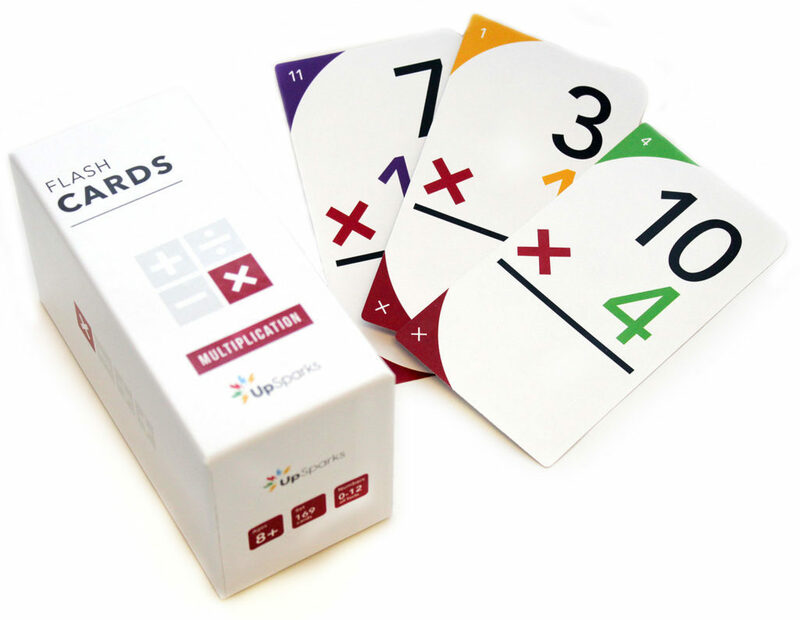 Simply point your device at your UpSparks Multiplication Flash Cards box. And watch as your real-life cards transform into the world of augmented reality.